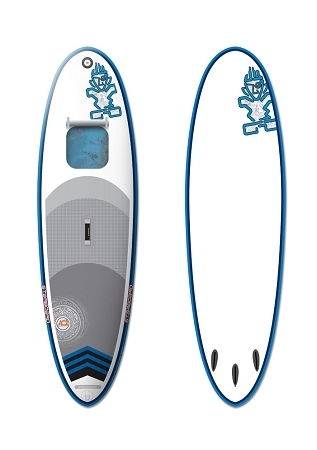 > Starboard Astro Explorer 11'2"x40"
The first inflatable SUP with a cool window to view the sea bottom. The extra stable hull shape makes it possible for several people to explore the underwater world. The perfect summer toy for "kids" of any age.